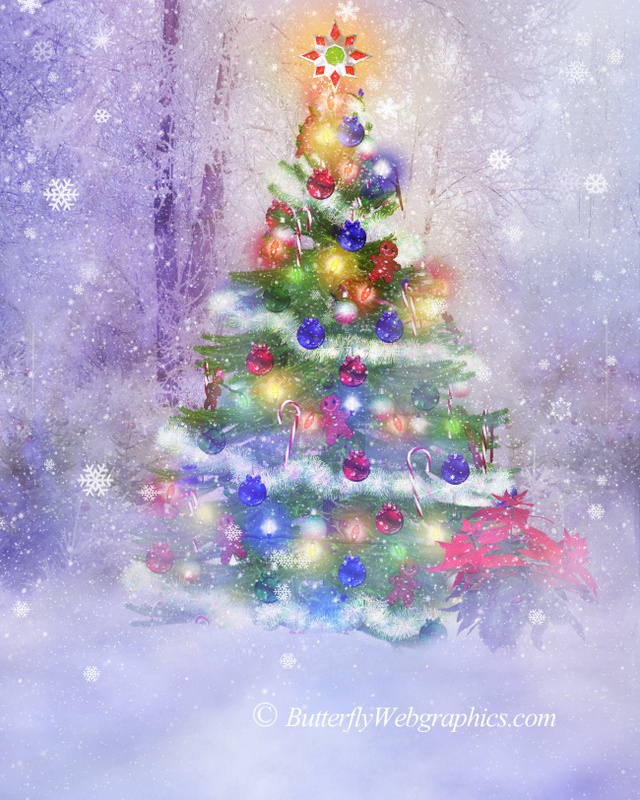 Vintage Christmas Tree Graphics, including Trees, props, and backgrounds. Festive holiday scenery that’s full of the spirit of the season. You can embellish these scenes to your heart’s content and inspire winter dreams. 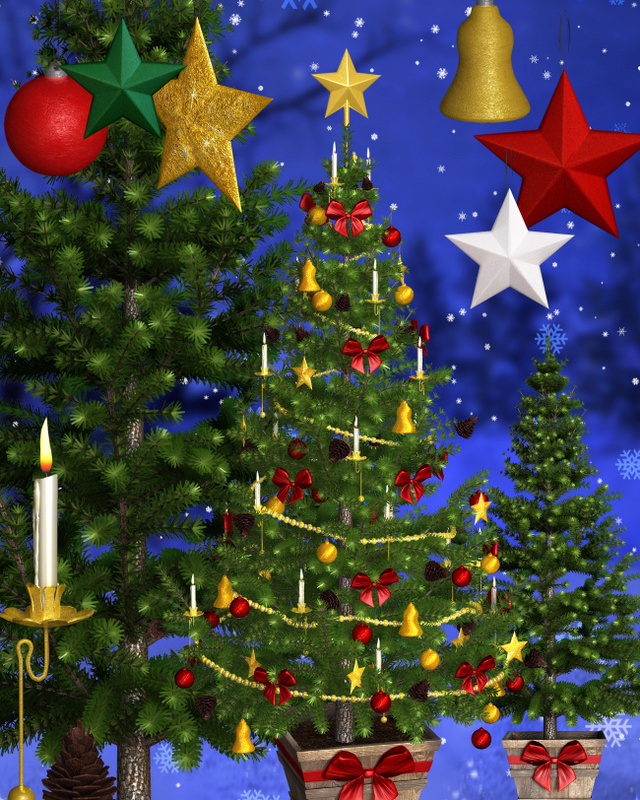 Several vintage style Christmas trees are included. Some ornaments are also included to help you decorate your digital tree. Cherish the spirit of the season. Trim your tree with eye-catching beauty with the help of these Vintage Christmas Tree Graphics. 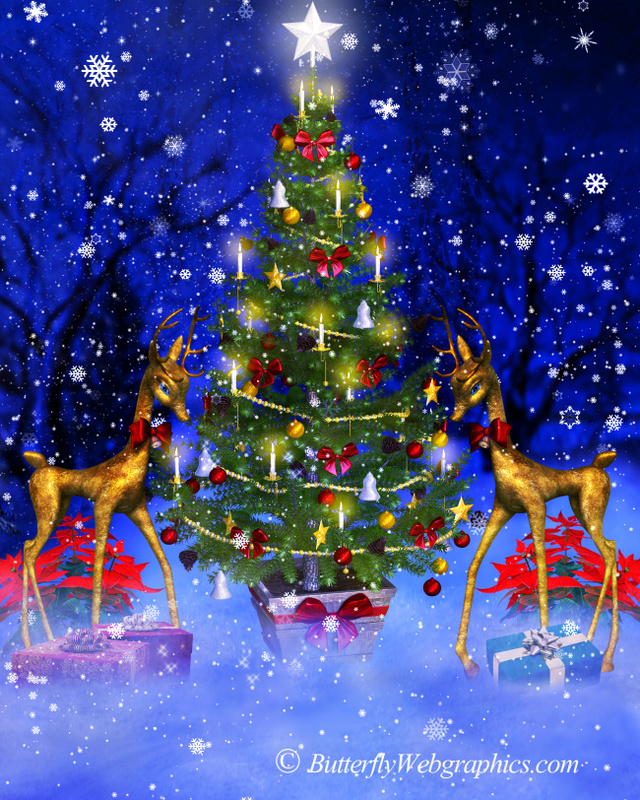 This package includes several vintage style trees–some are decorated and some aren’t. 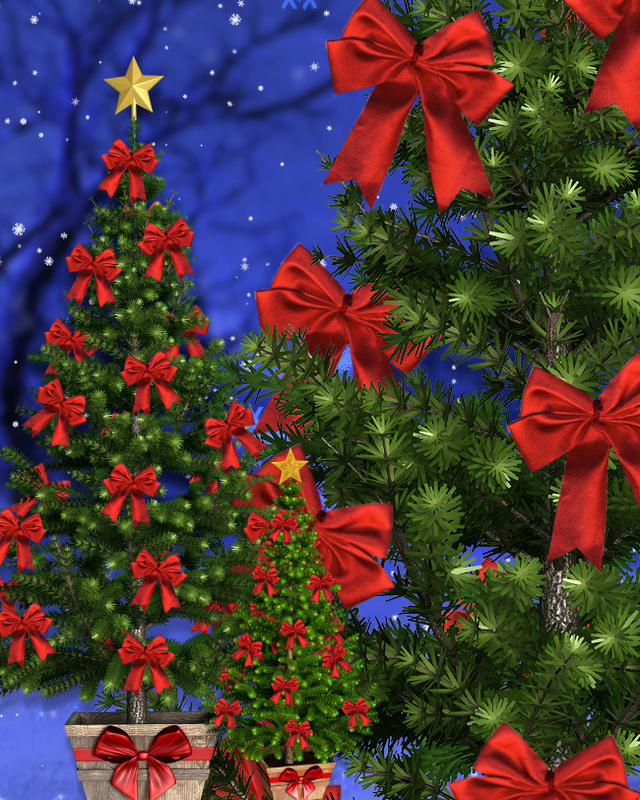 It also includes ornaments to help you decorate your tree, and some Christmas tree backgrounds for your holiday scene. 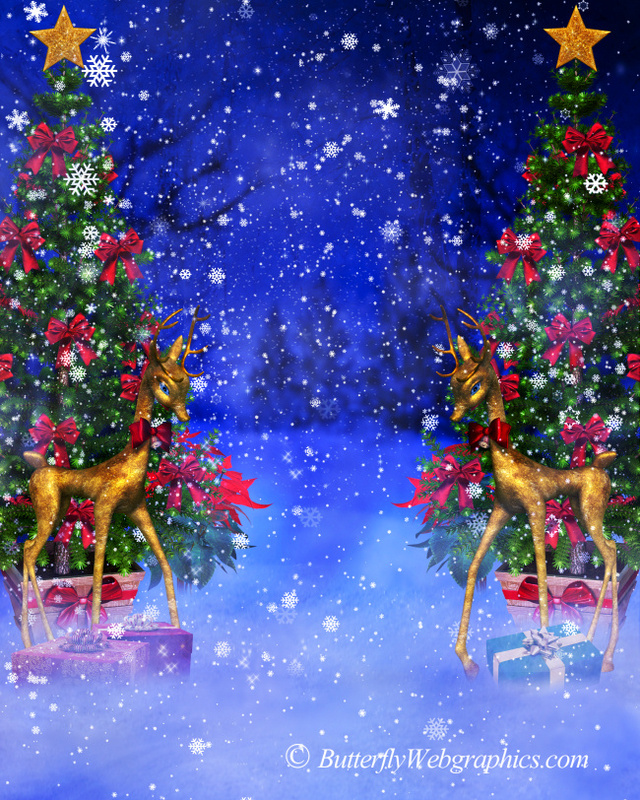 These graphics will be great for the Christmas scene in your mind’s eye. Use the backgrounds as a back drop to your artwork. Or drop the trees into a winter background and create something memorable this holiday season. You could also use them to embellish a scrapbook, tag, or other creative project. Wherever you use them, they will be nothing short of eye-catching. 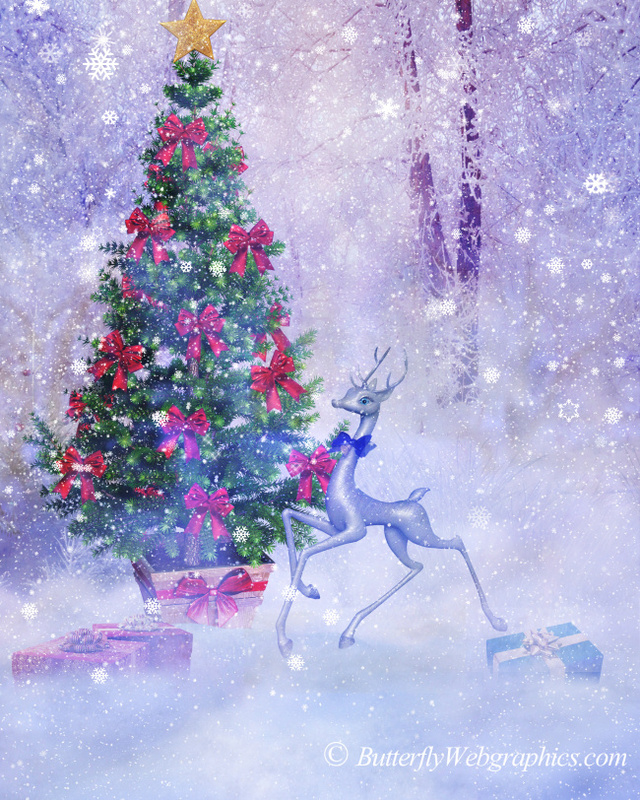 The reindeer featured in some of the graphics is from my Fancy Reindeer graphics package. This package has 38 holiday images. They all have no drop shadows. The size of these images varies, but the trees are about 1200 X 2400. The backgrounds are all 2400 x 3000 pixels.They are 300 DPI, making them great for print projects. This package is two zip files, which are approximately 73-98 MB each.